China’s Acting Consul General in Scotland Zhang Huazhong and his Consular Diplomatic Attaché Zhu Ge have paid a visit to South Ayrshire Council, as part of a tour of the local area exploring business, tourism and economic development opportunities. Welcoming the delegation to County Buildings Provost Moonie said: “We are honoured you have taken time out of your busy schedule to come and see us, and I am certain your visit to the area will help accelerate the way we can learn about each other’s cultures, make new friendships and establish business links between our countries and regions. “China and South Ayrshire share many areas of common interest – particularly in our desire to boost trade, encourage the economy and to promote tourism. “We are fortunate that South Ayrshire is an area of outstanding natural beauty and we’re always proud to have a chance to show off what we have - and we welcome opportunities to explore ways to develop our assets locally, nationally and internationally. Provost Moonie presented Mr Zhang Huazhong with a gift as a memento of his visit and as a reminder of his time in South Ayrshire. 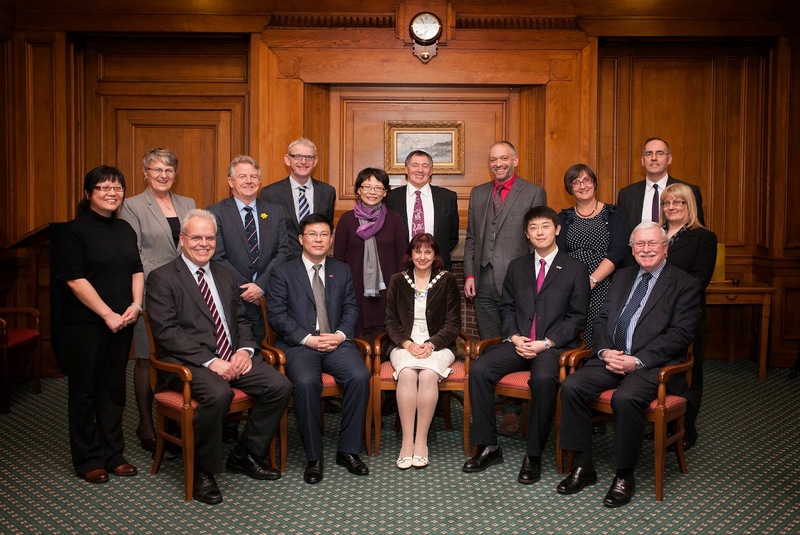 South Ayrshire Council has already been working hard with local businesses and organisations to develop links with China, welcoming previous visitors and trade delegations in 2009 and in 2011. In 2012 members of China’s Ganten Company also purchased Blairquhan Castle, near Maybole, as part of a planned diversification of interests by Ganten Scotland Limited.